I should have known it would be disappointing. Nothing can compare to a good cream cheese frosting. 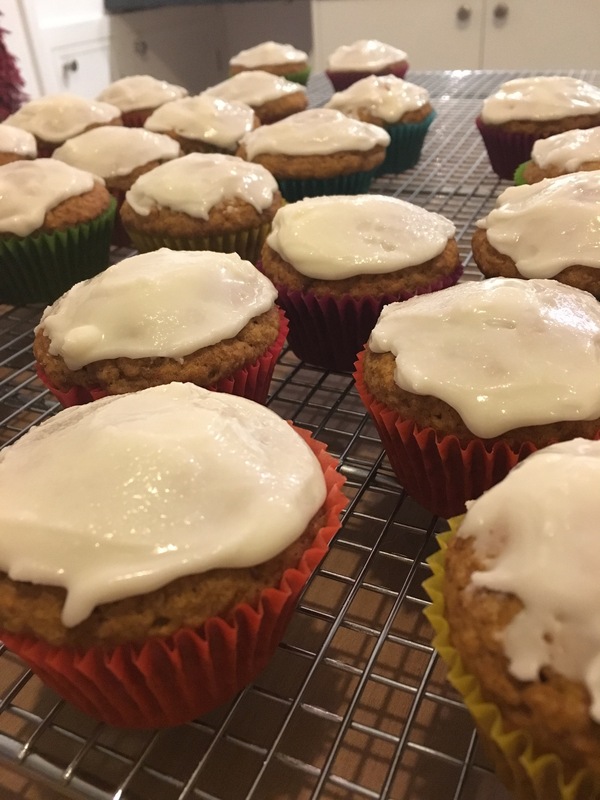 That’s what these delicious pumpkin cupcakes needed, but I had no reason to leave the house yesterday, and couldn’t justify going out simply to get cream cheese. Surely, I could use yogurt, right? I had yogurt in the house. A quick search online uncovered a variety of yogurt frostings and glazes. Many were, frankly, disgusting-sounding attempts to make a fatty, sweet confection with no fat or sugar—soy yogurt sweetened with stevia was the worst. But my thought was to just mix yogurt and confectioner’s sugar to a spreadable consistency, with a little vanilla for flavour. It certainly worked. Two cups of sugar, half a teaspoon of vanilla, and about 3 tablespoons of unsweetened yogurt made a reasonable frosting. But it wasn’t cream cheese frosting—too sweet and not sour enough. Not enough fat, either. It was less like cream cheese frosting, and more like a sugar and lemon juice glaze. In fact, with more yogurt and less sugar, it would probably make an excellent thin glaze for sticky buns. Next time I make pumpkin cupcakes, though, I’ll make sure I have cream cheese in the house first.